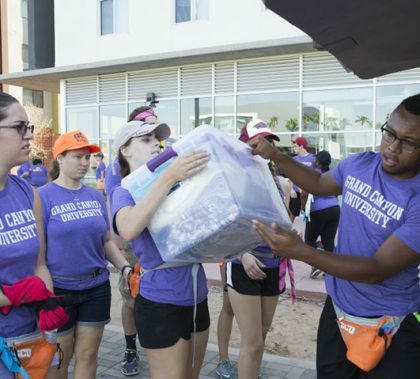 Professors, staff and fellow students all lend a hand for GCU’s unique Move-In. It is part of the culture of the University for employees as well as students to lend a hand at the start of the academic year. While many volunteers would rise early and haul boxes for nothing, the Welcome Week organizers show their appreciation with stylish T-shirts, colorful bandanas and fanny packs for all and a dinner, movie night and pool party for the student volunteers. 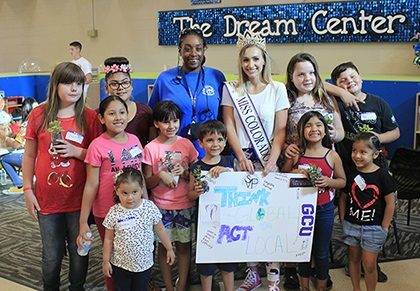 GCU’s Move-In tradition continues with the ultimate warm welcome, beginning Friday when Welcome Crew members arrive on campus. As students, faculty and staff once again personally move students into their rooms, it sets the tone for a pay-it-forward campus culture. 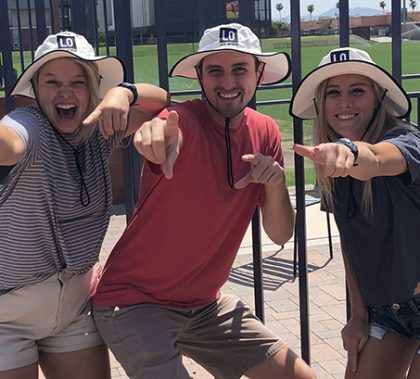 Move-In kicks into high gear on Monday, Aug. 20, and the entire week is filled with activities designed to help freshmen and transfer students make friends and settle in while returning students catch up with friendships and dive into leadership roles.